A yoga teacher for over a decade, Kim has shared her practice with communities of colour, indigenous, queer and trans, differently-abled folks and survivors, and used yoga as a tool for healing, resilience and liberation. Kim teaches as part of the Brown Girls Yoga Collective. 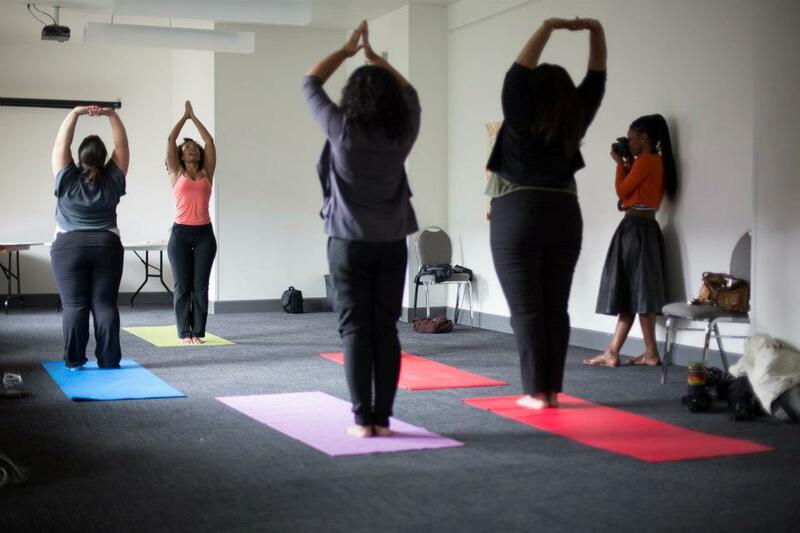 As someone with both West African and Indian roots, Kim engages in the practice of yoga as one that binds her deeply to the healing science of her ancestry. Emphasizing form over function, she invites students to listen to their bodies. Her adjustments are slight and gentle and she always requests consent before offering touch. Her practice of yoga is grounded in a release of ego, deep love of our bodies and a connection to breathe. Classes strike the prefect balance between a responsive dialogue with her students and with an atmosphere of stillness, encouraging them to turn their gaze inwards. Attention to detail and respect for the differences in each persons body create a completely different experience for each student. Kim’s experience training people of all ages and skill sets inspire her to create a variety of modifications for each pose in order to meet the needs of all practitioners. Her dedication and passion for yoga fuels her inventive spirit and keeps her practice constantly evolving.